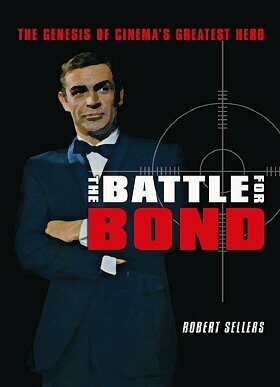 Robert Sellers, author of The Battle for Bond wrote up a piece for The Sunday Times. Literary and film fans should give this a read because as the first sentence states: “It’s the most fascinating and controversial episode in the history of James Bond.” Read it here. Also buy the book (US , UK). Yes, yes. As I stated earlier, which is still the case, I’ve yet to read it, but I’ve only ever heard great things. I’m so behind in my reading. I wanted to get away from spy fiction and Bond in general for the time being so I jumped into Sebastian Faulks’ “French Trilogy”. Great reads. I’m thinking about writing a small review of them, but I’m not really one for reviews of anything – unless I feel compelled to do so. Notice I didn’t even do one for Hurricane Gold. Hell, I’ll do one right now: It was good. There. Happy? :( I also read A Thousand Splendid Suns by Khaled Hosseini. That was really good and I can’t wait to see Marc Forster’s screen adaptation of The Kite Runner. I loved that book too. Currently reading: The Spy Who Came In From the Cold. Yeah. Back to spy fiction. Sue me.